Spring is here! Let's dance among the flowers and celebrate the revitalization of the land! *During the event, flower petals will be drifting all across the sky! Spring brings new rewards! Complete Hell Events to get a Petal Pouch, Speed Ups, and Speed Up Research items! Spring fever has also affected the Transmutation Lab: All Dark Essences will blossom into Gems! New rewards are in season! 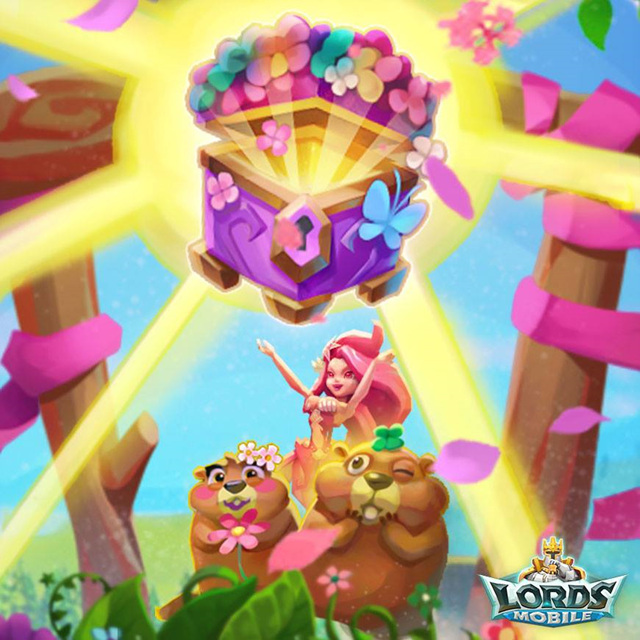 Log in during the event to get a Blooming Chest(limited to one per day), which contains a random assortment of goodies, such as Gems and Speed Ups! Get MORE from Guild Helps and Guild Quests! Help your Guildmates and you could get 4X more Guild Coins! Is Spring your favorite season of the year? Show us what Spring looks like in your city! We will pick two of you to send 500 points!